Through generous friends like you, water filters recently arrived in Zambia to turn the tide of cholera in a village. A school received food for 1,250 orphans and vulnerable children. They had been waiting for quite some time. As many as 25,600 people were blessed with food and other items. And the local team reported that when they shared the eternal hope of Jesus, 100 people responded to that hope! Many still suffer around the world. To express the kindness of Jesus, Global Aid Network® (GAiN®) has acquired an additional $5.67 million in aid for 21 countries, including Zambia. Many of these supplies are donated. We only need the funds to prepare, ship, and deliver the goods. Your gift of any size will provide 10 TIMES its value in lifesaving supplies. Show the kindness of Jesus to hungry children who are malnourished from eating just one small meal a day. Each $100 will provide $1,000 worth of food and other aid to orphanages, schools, and families. Prevent and treat sickness. Your gift of $300 will provide $3,000 worth of things like water filters to halt diseases like cholera, medicines for clinics, wheelchairs, and more. Break the cycle of poverty. Your gift will be multiplied 10 times to provide school supplies for children, seeds to launch community gardens, and other items to give people long-term hope and opportunity. 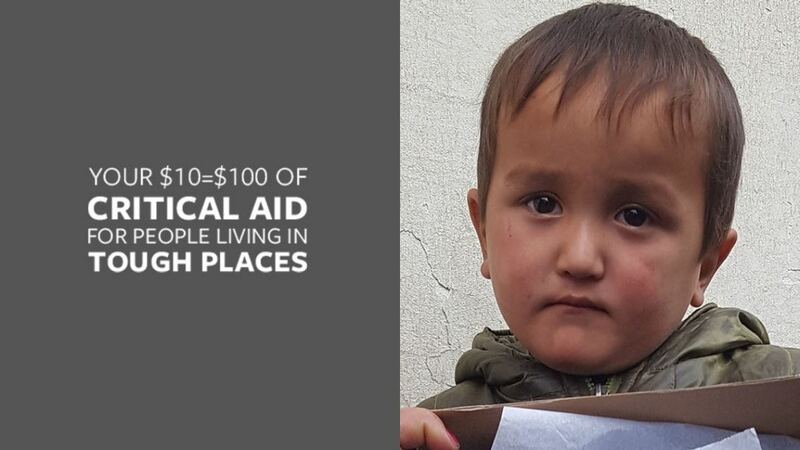 This essential aid will relieve suffering, restore dignity, and reveal hope in the toughest places on earth. God sees each of these specific needs, and today He invites you to respond. Since GAiN first began 25 years ago, we have leveraged strategic global partnerships to relieve suffering through humanitarian aid in more than 75 countries. GAiN serves people around the world as part of Cru’s diverse, 190-country network. And now each $10 you give today will do the work of $100 to help even more people. Call toll free: 1-800-778-7806, 9:30 a.m. to 6:00 p.m. ET — Global Aid Network® (GAiN®) Development Office. Call toll free: 1-888-278-7233 from 9:00 a.m. to 5:00 p.m. ET, Monday–Friday or email us at eGift@cru.org — Cru® Donation Services Office.